Israel: Why are Ethiopian Israelis protesting? 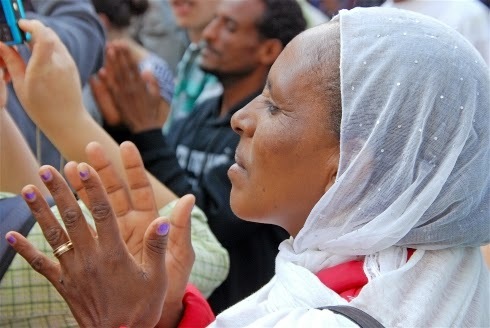 JERUSALEM, 4 May 2015 (IRIN) - For the last few days, Ethiopian-Jews in Israel and their supporters have been protesting against police brutality and racism. The protests were sparked by a video of Israeli police officers assaulting a uniformed Ethiopian-Israeli soldier. A Tel Aviv rally turned violent on Sunday night, with police firing stun grenades and water cannons. Prime Minister Benjamin Netanyahu is set to meet with Ethiopian community leaders Monday, and another rally is expected outside his Jerusalem residence. But who are the Ethiopian Israelis and why are they so angry? Click here for IRIN’s interactive guide.